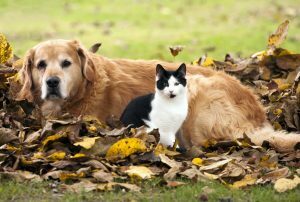 Fall is bringing in cooler weather, along with allergies and flea infestations in our pets! Our clients are usually concerned about fleas because of the annoying scratching and discomfort that they cause our pets. However, fleas aren’t just annoying, they can cause serious problems such as flea allergy dermatitis (skin inflammation and infection), tapeworm infections, anemia (low red blood cell counts), and other diseases to worry about as well. Not to mention that fleas brought in by our pets can also bite us! 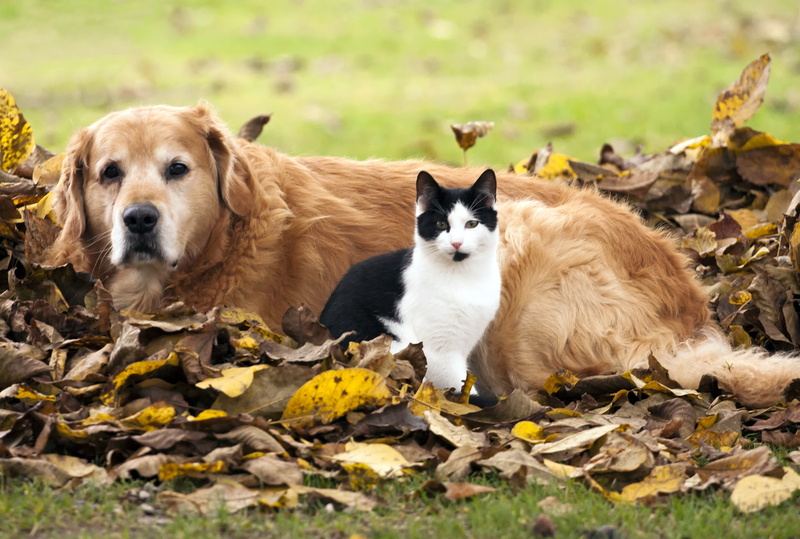 We want to do a quick review about fleas so that you can keep your pet flea-free this fall. While there are many different species of fleas, the one that most commonly infests dogs is the cat flea, Ctenocephalides felis felis. Let’s start with a review of the flea life cycle. The flea life cycle has four stages: adult, eggs, larvae, and pupae. The adult flea lives and feeds on pets (and humans!) and produces the eggs. The eggs fall to the floor and hatch into larvae, which feed on adult flea feces (which is made up of digested blood – GROSS!) and debris in the environment like skin cells. The larvae develop into pupae and adult fleas emerge when the pupae are mature and when a host (your pet) is available. 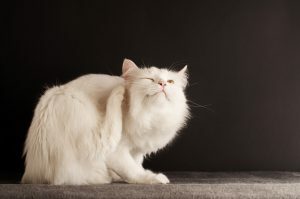 While it is possible for your pet to get fleas directly from another animal, the most likely source of infestation is from the pet’s environment. Adult fleas locate hosts by sight, body temperature, and moving shadows (e.g. your pet moving in a lit room). Once the fleas find a host, they start feeding immediately. The length of time for the flea to go through their whole life cycle depends on temperature, humidity, and the presence of an animal in the environment. It can be as short as 12-14 days or as long as 1 year. So, why is this important?? This is why using just 1 dose of flea prevention will not get rid of the fleas in your home. Not all eggs in the environment will develop into adults within that first month so you need to use flea prevention for AT LEAST 3 MONTHS to break the flea life cycle and get rid of the fleas in your pet’s environment. If you have fleas, we recommend 3 months of continuous flea control treatment for ALL animals in your house. The goal of flea control is to eliminate the existing fleas on your pet and to continue to kill fleas that your pet picks up from the environment. Other things to do to help rid your home of fleas include washing your pet’s bedding and vacuuming often to help get rid of eggs and pupae in the environment. Now that you have the creepy crawlies…the good news is we have many effective flea products including some new ones that are easy to give and last for 12 weeks! Contact us today and ask how to protect your pet from fleas.